ZU510T laser projector installed within a bespoke enclosure and, together with the audio, is linked to a Blackbox AV control system. Piranha AV offers design, installation and maintenance services for professional audio visual equipment. It specialises in integrating sound and projection systems, stage lighting rigs, display screens and control systems to create reliable, seamless and simple-to-operate systems. “This display relies on the element of surprise, so it was vital there was no sound or light leakage from the projector before the effect is triggered. This is where the AV mute feature on the projector was perfect. “And it looks great! We installed the projector and saw the imagery close up but then when we went up the tunnel, where visitors see it for the first time, the effect is really impressive." 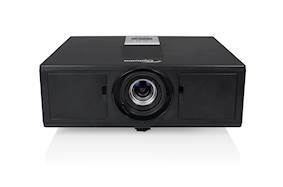 Weighing just 11kg, the ZU510T WUXGA projector boasts a brightness of 5,500 lumens and its quietness of just 33 decibels (in Eco mode) made it ideal for the cave. It has a 100,000:1 contrast ratio and, due to the combination of its solid state laser-phosphor light engine and DLP technology, produces exceptionally vivid colours. 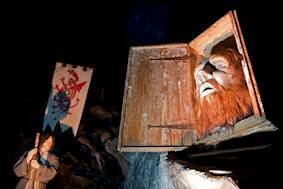 Challenge: King Arthur’s Labyrinth, a subterranean attraction, wanted a spectacular new feature for its Dragon River to show flames blasting up a tunnel towards visitors after they have awoken the fiery guardian. Piranha AV recommended projection but this would need to be installed in the dusty, damp and cold former slate mine, above the water, and would need to remain in pitch black until the flames are triggered. Results: Andy said: “This display relies on the element of surprise, so it was vital there was no sound or light leakage from the projector before the effect is triggered. This is where the AV mute feature on the projector was perfect. “And it looks great! We installed the projector and saw the imagery close up but then when we went up the tunnel, where visitors see it for the first time, the effect is really impressive." 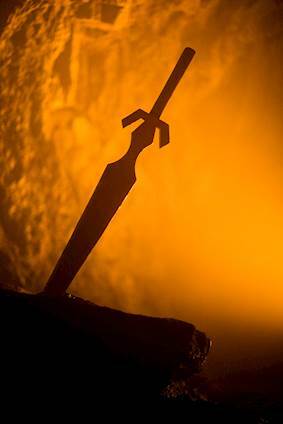 King Arthur’s Labyrinth is an underground storybook with dramatic scenes from myths and legends using light and sound. 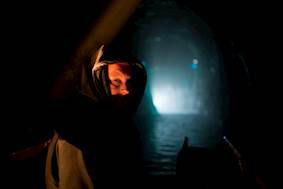 Visitors delve deep into the cave on a boat that passes through the Magical Waterfall and back to the Dark Ages, where it docks. 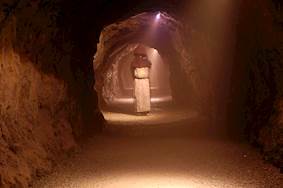 Legendary tales from a bygone age unfold as visitors walk through winding tunnels and immense caverns. The subterranean adventure wanted a spectacular new feature for its Dragon River – to simulate flames licking the sides of the tunnel as visitors return to the surface. Specialist installers of AV systems, Piranha AV, was brought in to advise on the best solution and recommended projection - but this was a particularly challenging location. The projector would need to be installed in the dusty, damp and cold former slate mine, above the water and it needed to remain in pitch black until the flames are triggered. The team installed the compact but powerful Optoma ZU510T laser projector above the river. The damp, cold environment is not ideal for electronic equipment so Piranha AV built a bespoke heated enclosure that is automatically controlled so the fans kick in when the projector is switched on. The projector and sound system is linked to a Blackbox AV control system which is triggered when the boat gets to a certain point. Connectivity is extensive with an HDBaseT port included as standard and complemented by two HDMI inputs on the rear and a further HDMI port at the front. The remote control unit has a backlit keypad for operation in dark environments, and can be hard-wired to the projector. This enables direct control of the projector without line-of-sight. Control can be via HDBaseT, RS-232C or a traditional wired network connection, and a motorised screen can be coupled to the 12V terminal. The ZU510T contains a pair of powerful 10W speakers, as well as a microphone input and audio output. The latter of these allows the unit to be coupled to an external amplifier and speakers. 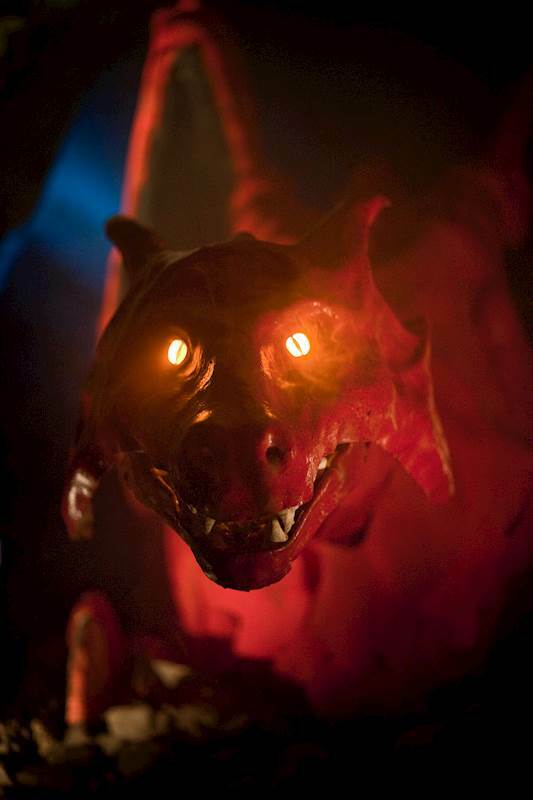 The new display, which opened at Easter, warns visitors not to disturb the fiery guardians of King Arthur’s Labyrinth. 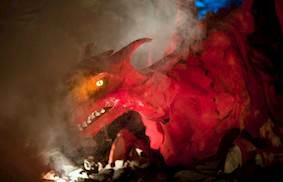 On their return voyage, visitors don’t initially see the dragon but are suddenly engulfed in the deafening roar as flames blast up the tunnel. Andy said: “This display relies on the element of surprise, so it was vital there was no sound or light leakage from the projector before the effect is triggered. This is where the AV mute feature on the projector was perfect. “And it looks great! We installed the projector and saw the imagery close up but then when we went up the tunnel, where visitors see it for the first time, the effect is really impressive. “The projector gave us the right brightness and resolution. The flames are projecting onto the rough and uneven tunnel walls and needed to be a high resolution to ensure that pixels are not visible even when the boat gets close up. ZU510T laser projector, a bespoke enclosure and a Blackbox AV control system.